For this project you will add watercolor to a page- keep it fairly light! Once the watercolor has dried overnight you will add zentangles on top of it. Zentangles are doodles and creative designs and patterns. 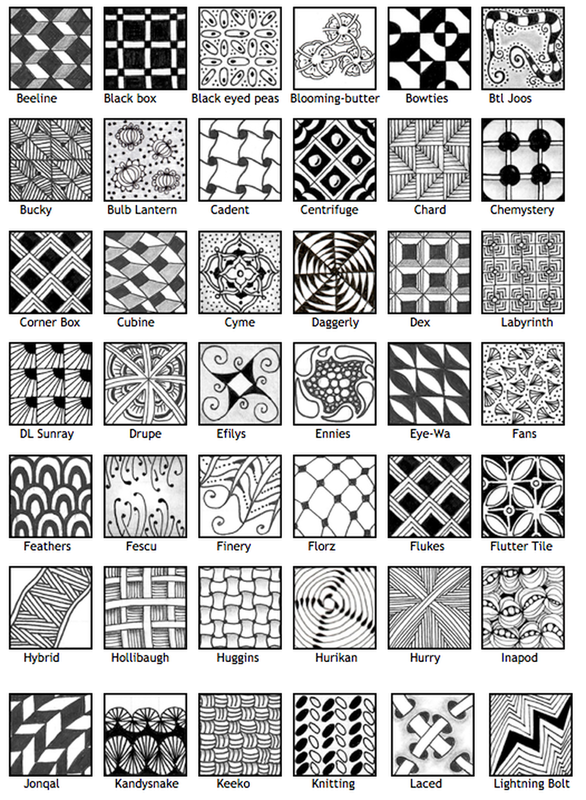 The official Zentangle website is https://www.zentangle.com/ which explains more and shows lots of examples. You can find lots more examples in books in the art room or by using google image search. Drawing zentangles has nothing to do with drawing ability- rather it is a fun and relaxing thing that anyone can do.